Once here, everything is within close walking distance. In fact, we are 5 minutes by walking from the Cathedral, and the main square (Piazza IV Novembre) and street (Corso Vannucci). The Hostel offers 4 or 6 beds rooms in separate dorms for males and females, but also private, mixed rooms for small groups (min. 4 people) and family rooms ensuite. 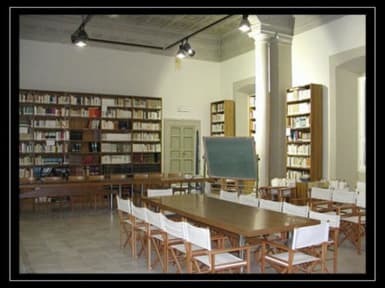 The Hostel has different common areas: a large kitchen which holds 40 people comfortably; a large, historical library which holds 55 people, a beautiful free wifi room and amazing terrace on the city. These common areas are open from 7:30 to 24:00, no stop. The rate is 18 euro per night. Only the first night, you have to add 2 euro for the rental of the kit consisting of sheets and bath towel. Check-in time: from 7:30 to 23:45, rooms are availables from 15:00, after daily cleaning. Check-out time: until 11:00. Possibility to leave luggages from 7:30 to 24:00. Rooms closed for daily cleaning: 11:00 - 15:00. 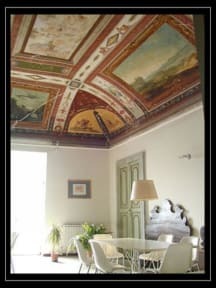 Beautiful terrace, amazing location, very spacious rooms, a nice kitchen. Couldn't be better! Highly recommend. Excellent hostel! I have really enjoyed my stay here, in fact i ended up staying a few more nights. Rooms have all been spotless and the kitchen was well equipped. Staff were excellent and the view from the balcony is something else. absolutely would stay again. perfect location and views straight from the room! Everyone in ostello di perugia was so so kind! I loved my stay there. It's in a very good location. Even if I thought it was a hostel, it was more of a house to sleep, relax and study. You can't complain when the location of the place is so convenient and the views so amazing! 😁 Communication could be better, and the showers need fixing. I didn't mind though, the place is so calm and relaxing and there is so much to see. I stayed in March, so there were not many people in the hostel. I had the 4 bed room and shared with only one other person. Great location, walkable distance to everywhere. The staff are very friendly and helpful. Very beautiful selling and stunning view from the patio and room window. Big kitchen and library. The facilities are a bit old which is acceptable considering it’s an old building. Highly recommended! Standard hostel . Staffs are very helpful though not the best with English so I didn’t ask for much local tips or how to travel to towns around . The bathroom is a bit chilly in late October . Everything is pretty clean and tidy though .